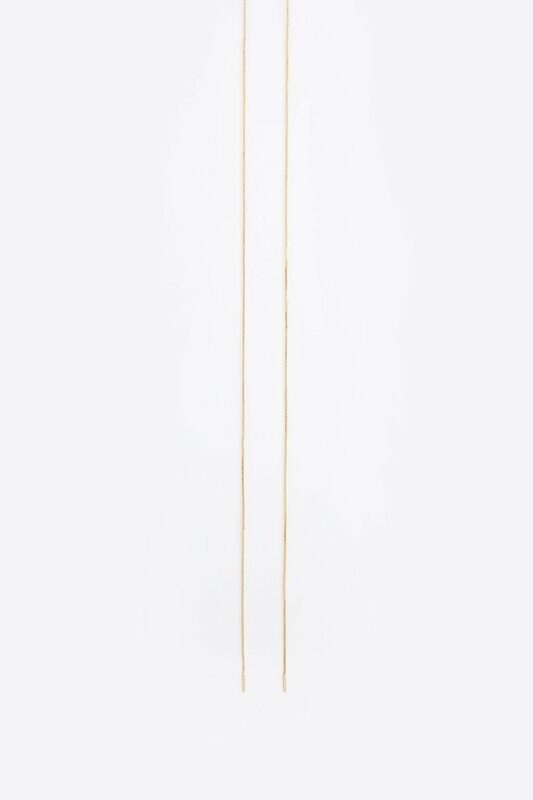 Beautifully dainty, this box chain necklace is a jewelry essential. Featuring small rectangular end details, this piece stays open and lays elegantly down the chest. 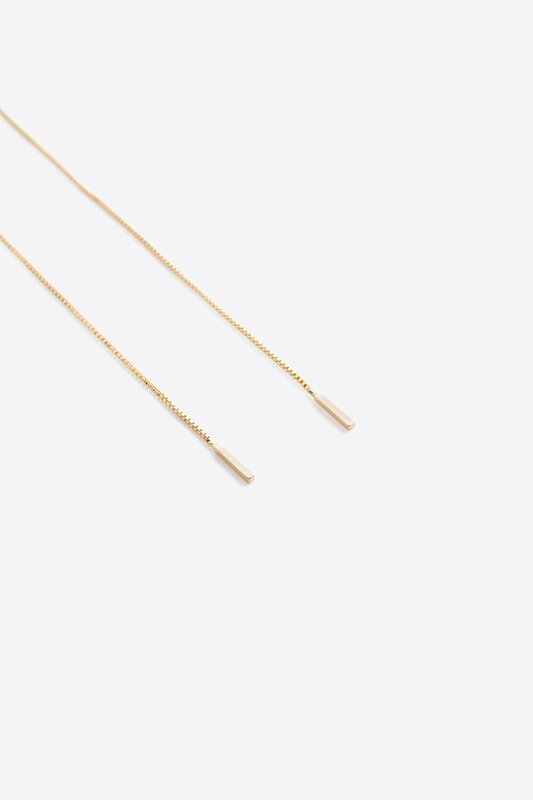 For a customized look, try wrapping around your neck to create a dainty choker.